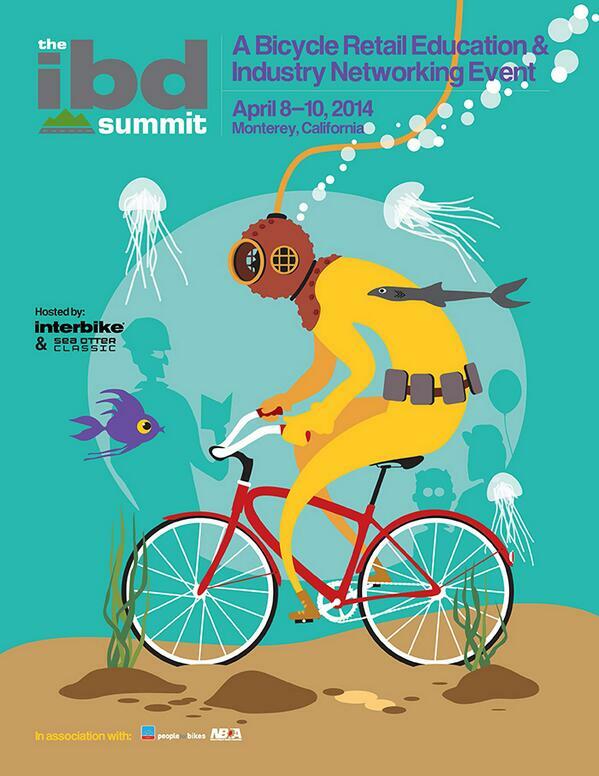 Bicycle Leadership Conference week is a fantastic time to visit Monterey County. You’ve heard about the county’s Car Week in August? It’s Bicycle Week in April, with the Bicycle Leadership Conference April 9-11, 2019 and the 29th Annual Sea Otter Classic —Monterey County’s world-renowned 4-day Celebration of Cycling—April 11-14, 2019. Sea Otter expects nearly 1000 brands to occupy 200,000 sq. ft. of display space at SOC 2019. Bikes mean business. And fun! This post includes tips for BLC attendees that can help save time and maximize your enjoyment of Monterey County, including at Sea Otter Classic. The Bicycle Leadership Conference is an annual gathering providing a platform for executives from established and emerging companies to discuss industry challenges and opportunities. Joining them are other bike advocates, such as representatives from the League of American Bicyclists, Rails-to-Trails Conservancy, and more. The BLC is presented by the Bicycle Product Suppliers Association (BPSA) and hosted by the Sea Otter Classic. For more information, visit www.bicycleconference.com. On Twitter, @bicycleleaders. Curious who the three locals above are, out biking for wine on River Road? That’s journalist @davidmschmalz, along with @katiepofahl, and their pal Kevin. Look for @bikemonterey on Twitter too, and the@BicycleLeaders. Speaking of Twitter, you’ll find some BLC conversations online using the hashtags #BLCMonterey and #BLC2019. Tips for BLC attendees are provided below to help save you time and enhance your fun. For Bicycle Leadership Conference 2019 details, visit bicycleconference.com. The Bicycle Leadership Conference convenes at the Monterey Plaza Hotel & Spa, directly off a Class I section of the Monterey Bay Sanctuary Scenic Trail’s City of Monterey section (a.k.a. Monterey Bay Coastal Recreation Trail). Repeatedly it’s voted Best Hotel in the Monterey County Weekly’s Annual Best of Monterey County Readers Poll, and was awarded that title again in 2018. Enjoy the ease of bicycle valet parking service, as violinist Laurel Thomsen (below) does, at the Monterey Plaza Hotel & Spa. BLC attendees love biking 17-Mile Drive. Make use of Bicycing Monterey’s tips for bicycling Pebble Beach. Using the Monterey Regional Airport? BLC attendees are encouraged to extend their experience with a trip to the Sea Otter Classic. You may wish to purchase a Sea Otter VIP Hospitality Pass for a business associate or friend. In case you missed this news, Sea Otter’s primary venue, Laguna Seca, has a new name as of April 2018. See Laguna Seca Racetrack — home of world-renowned bicycle, motorcycle, and automobile events — renamed WeatherTech Raceway Laguna Seca. Contact Bicycling Monterey founder Mari Lynch, a Monterey County resident and local business owner since 1981. You may have met Mari at the BLC in 2011 or 2012. Phone Mari anytime with questions or for additional info. For additional resources, refer to Bicycling Monterey’s 33-section directory, Monterey County Bicycling Resources and Bike Community Leaders. Consider making a contribution to help maintain and expand these resources. On opening day of Sea Otter Classic, as on Thursdays year-round, people who bike in Monterey County get 10-50% discounts at hundreds of businesses and organizations in 19 Monterey County communities. How does that happen? Through Bicycling Monterey’s HER Helmet Thursdays Project, a long-term ecology-economy sustainability project to encourage people to bike. Enjoy 2-minute audio or video intros, and other info, here. See the list of participating places: 9th Anniversary Edition – HER Helmet Thursdays Guide. Created and launched in Monterey County in 2009, HER Helmet Thursdays is also appropriate for other geographic locations. Catch the vision! You can even get HER Helmet Thursdays discounts at elegant venues, including some fine dining establishments, hotels, and more. Bike or bike-and-ride to Monterey County wineries. The wine room below, HER Helmet Thursdays spot Pierce Ranch Vineyards, is just above Cannery Row, near the Monterey Plaza Hotel & Spa (whose Cafe la Strada, Schooners Coastal Kitchen and Bar, and Vista Blue Spa) are also HER Helmet Thursdays participants). Have a friend or family member looking for things to do while you’re engaged in business meetings? Perhaps they’d enjoy biking, or doing the bike-and-ride, to a wine room. And on Thursdays year-round, all wine purchases at Pierce and other HER Helmet Thursdays wineries are at a discount for people who bike. See “Wine-ding your way along Monterey County bikeways,” which includes tips for avoiding a BUI! Special indeed—biking in Monterey County. Below, Vera Noghera, an active Velo Club Monterey member. Vera was greeting Ray LaHood and showing off the MST Rapid Transit Jazz bike-and-ride option. Any mile of biking beats a mile of driving! When schedule or stamina means it isn’t possible to bike all the way to a destination, consider a bike-and-ride option. Bikes are welcome aboard nearly all Monterey-Salinas Transit buses, as well as hotel shuttle vans, in a taxicab trunk, on the Monterey Airbus, and more. See bike-and-ride section of the Tips for Bicycling Monterey County guide for details. The solar-powered, local, independent Monterey County Weekly is the largest circulation newspaper in the county. It comes out late Wednesday nights and is available free at newsstands, on the Weekly’s website, and in a mobile edition. While biking does benefit the environment, there are so many more benefits. Among them is that going to history spots, farmers markets, and shopping districts by bicycle means you can avoid traffic jams, get free and close parking, and have much more fun! Who’s the guy above? A perennial of the Monterey County bicycling community. He’s Robert Kelly, on his regular ride from his home in Toro Park, Salinas—biking to visit his son in Pacific Grove. The IBD Summit, a Retail Academy and Industry Networking Event—which has taken place in Monterey County some years—was created by Interbike and the Sea Otter Classic for top retailers. This first-of-its-kind bicycle retail-specific summit brought together progressive bicycle retailers to learn from expert presenters, key suppliers, and their retail peers on how to take their successful businesses to the next level. Retailers benefited from an advanced level of education that built upon the very popular education series at the Interbike Expo. For more information and future dates, visit www.Interbike.com/IBDSummit. This post was first published in 2011 and has been updated for 2019. Posted by: Founder, Bicycling Monterey on 22 March 2019. One or more updates last made on 15 April 2019.